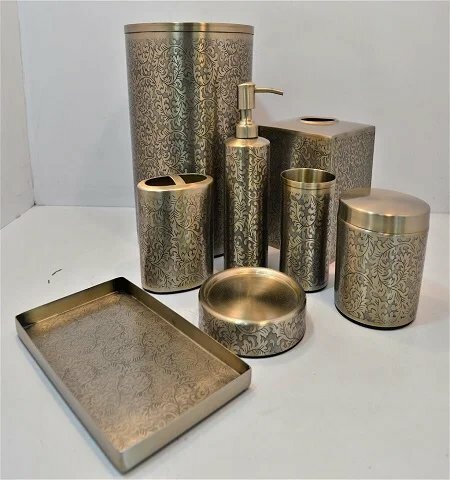 Bronze Leaf Matt Gold Bath Set. 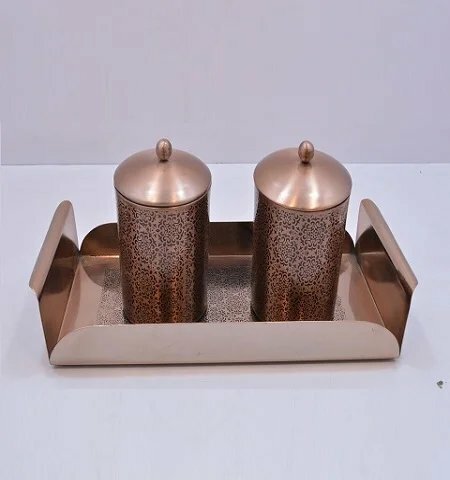 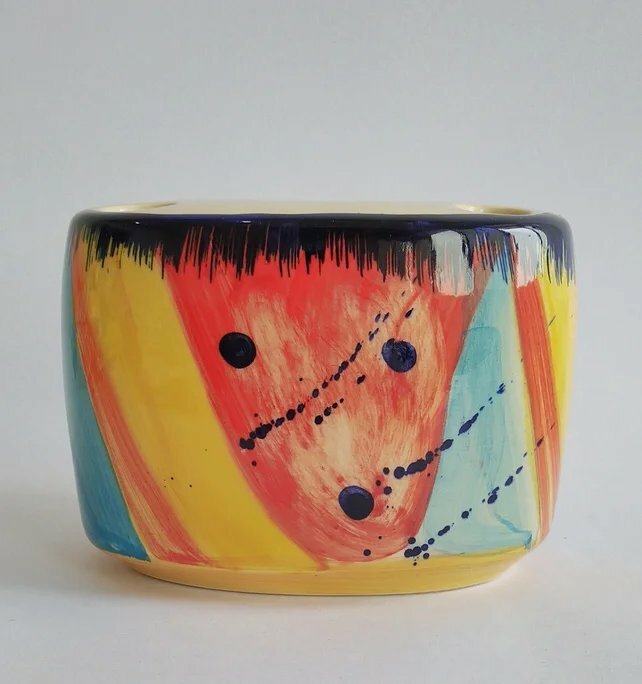 Leaf Design Jars With Tray. 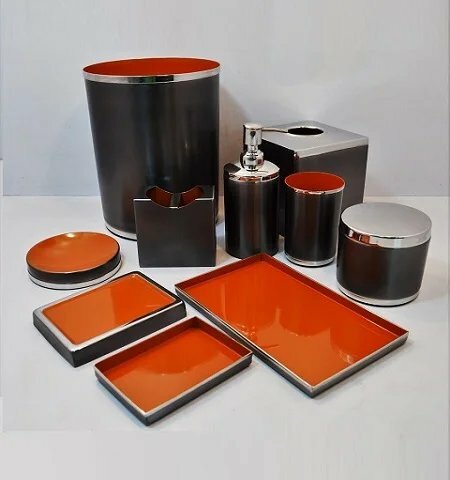 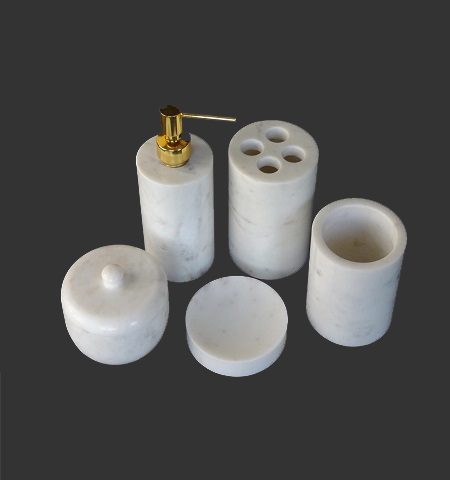 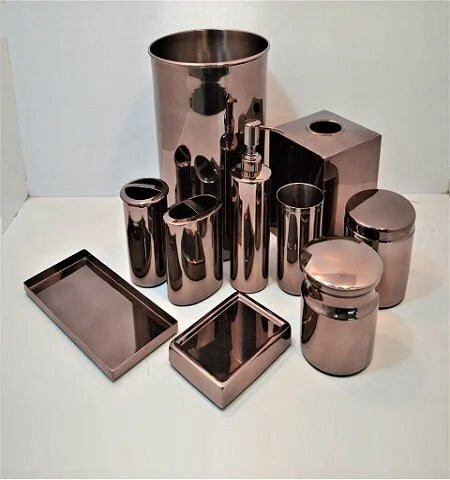 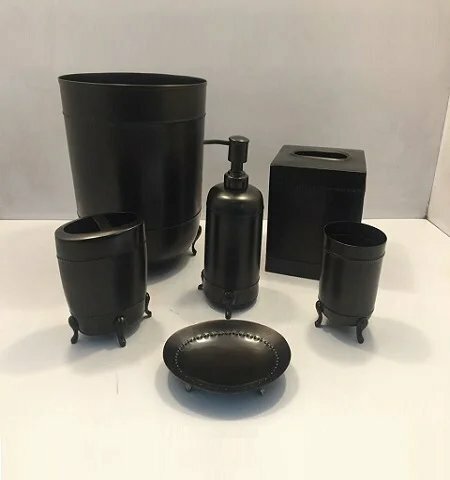 Oil Rubbed Bronze Finish Bath Set. 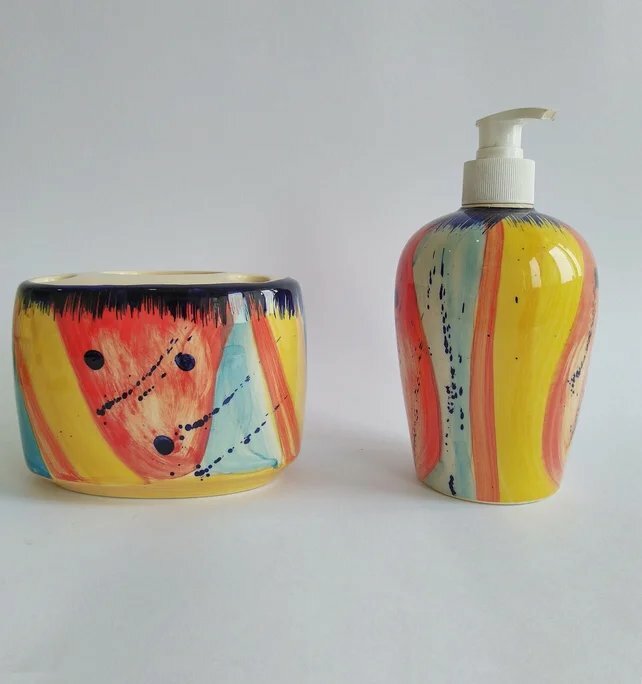 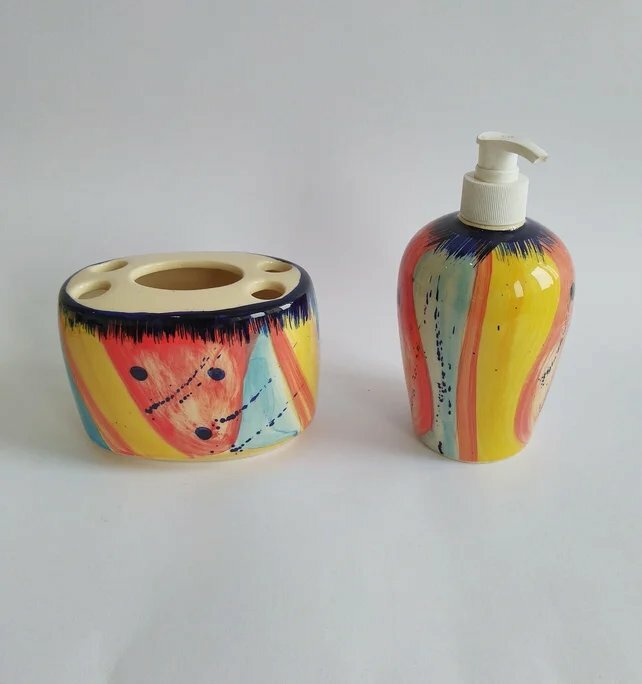 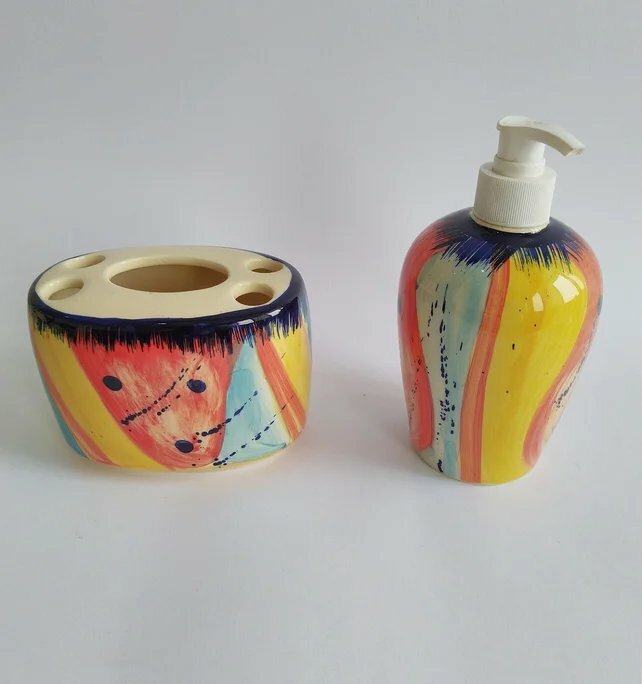 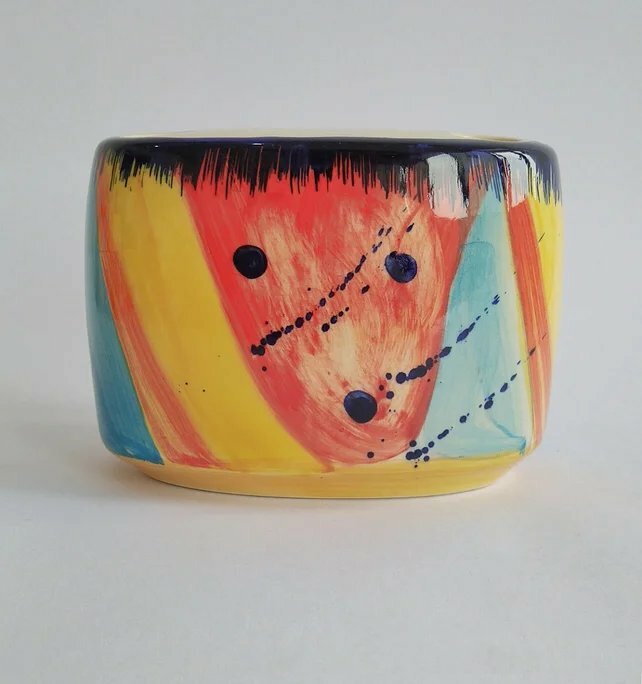 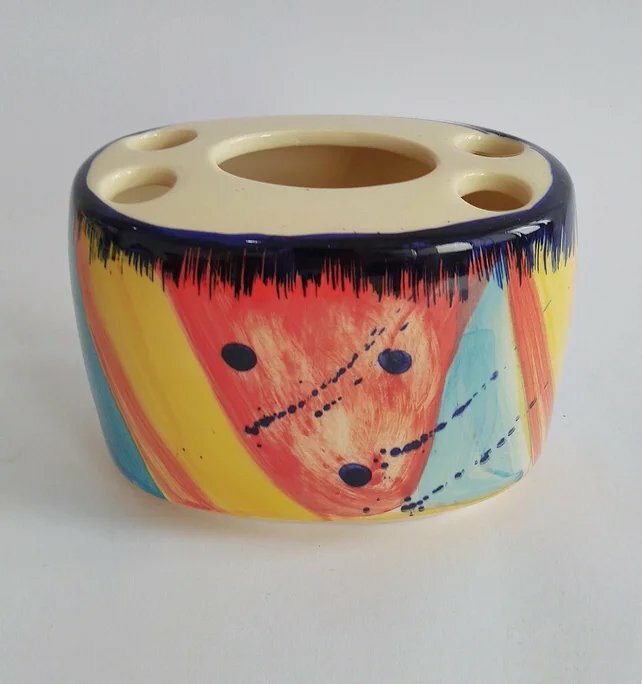 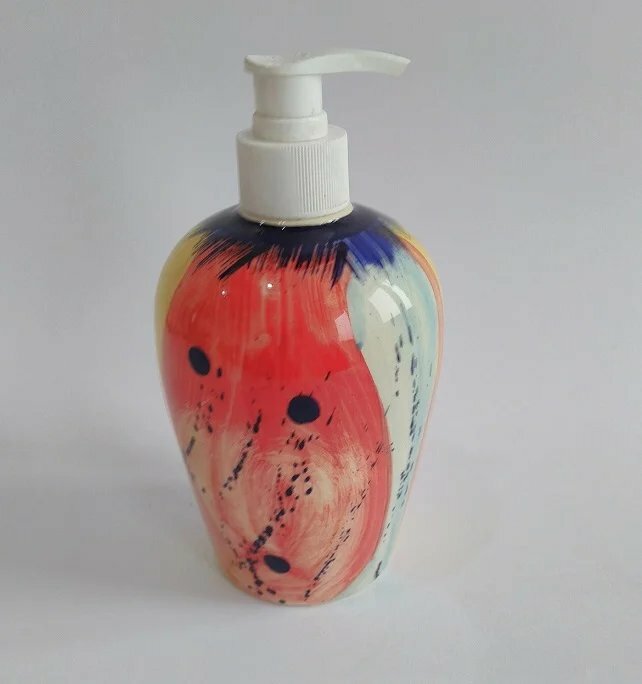 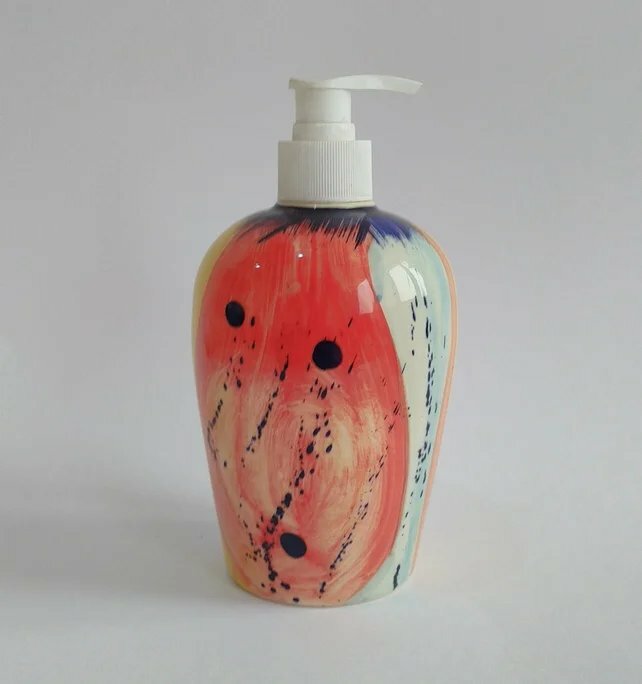 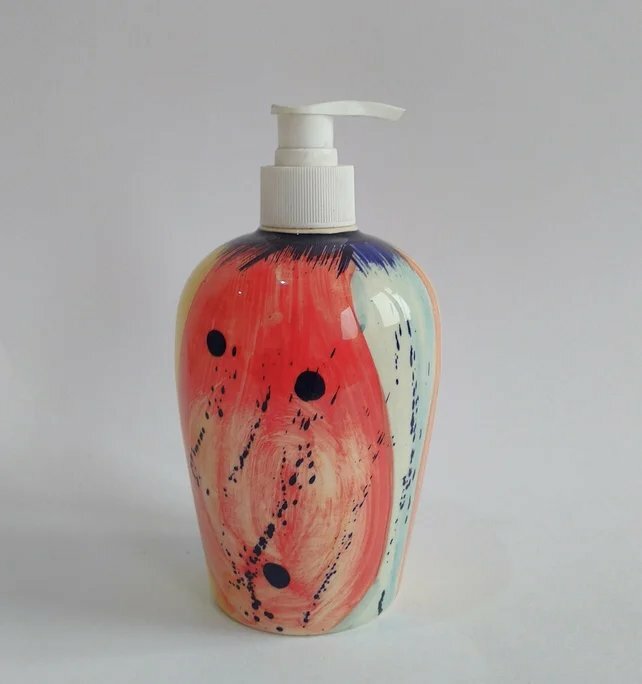 Multicolor Ceramic Brush Holder & Soap Dispenser Combo.